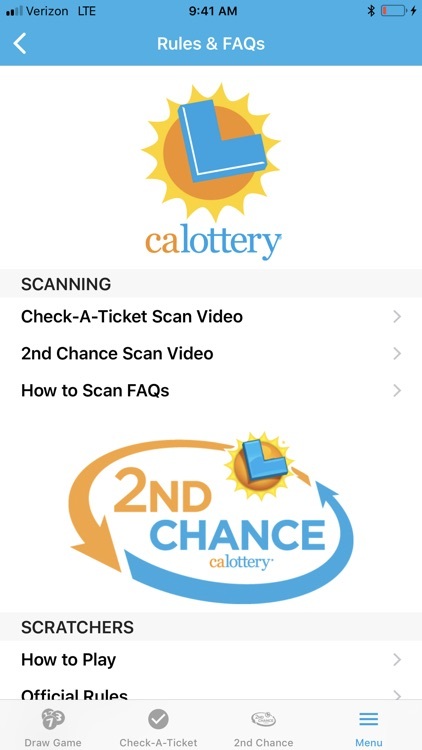 Welcome to the NEW & IMPROVED official California Lottery app with a new look, more features and improved menu! 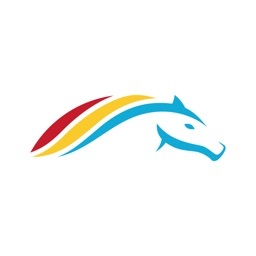 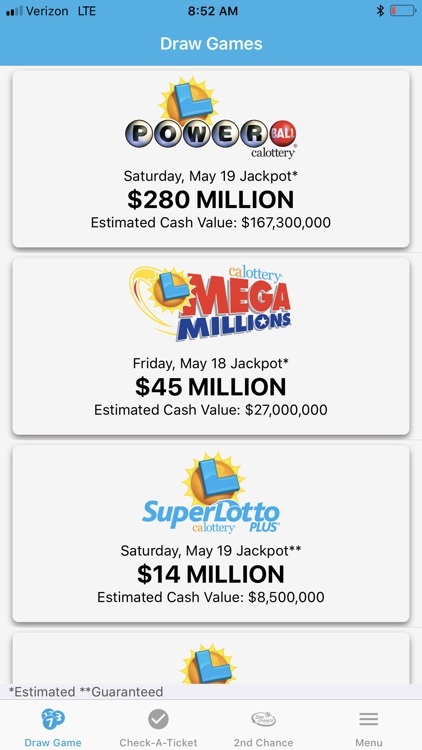 Follow your favorite CA Lottery games in the palm of your hand. 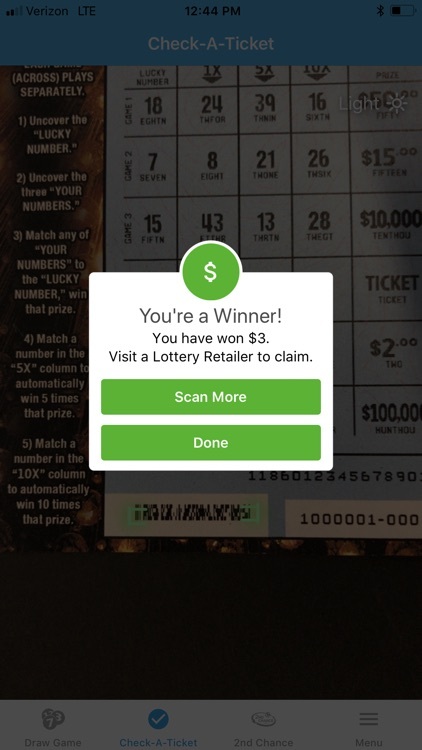 With Check-A-Ticket you can quickly scan any ticket sold by a CA Lottery retailer to see if you are a winner! 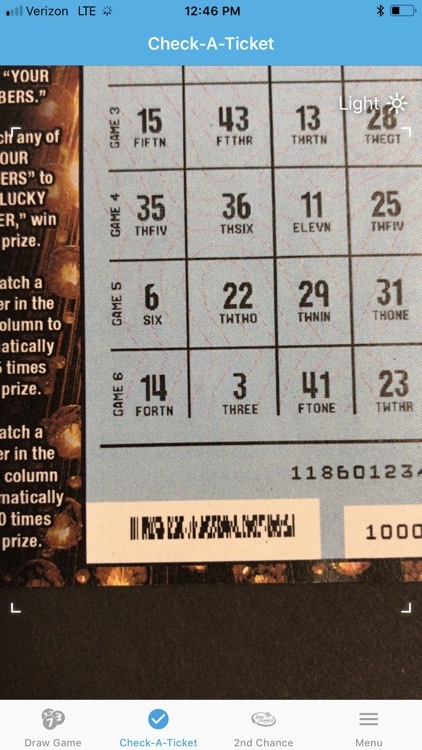 Not a winner? 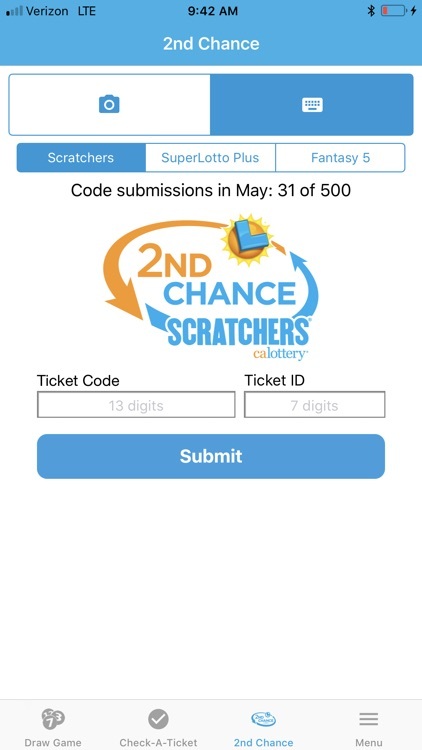 Simply toggle over to 2nd Chance and scan eligible game codes into a 2nd Chance drawing. 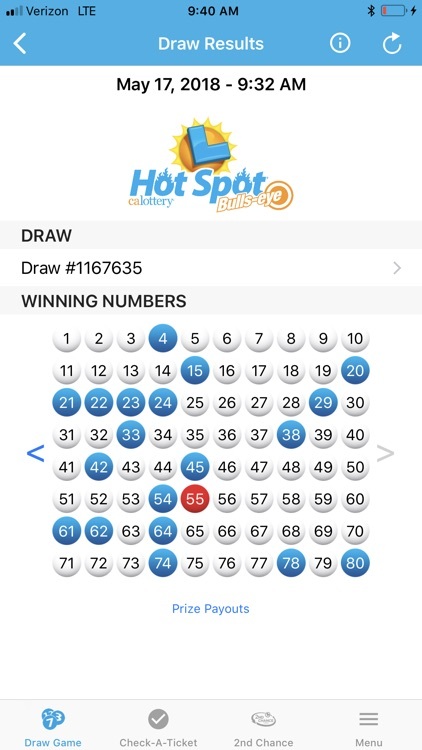 More convenient than ever to get winning numbers, view jackpot amounts or find your nearest retailer, anytime, anywhere. 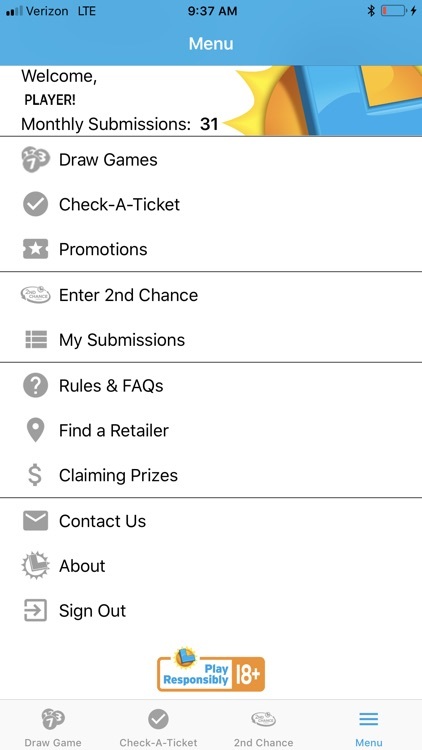 •	Check-A-Ticket allows you to see if your ticket is a winner! 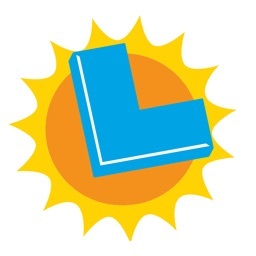 The Lottery provides supplemental funding for California Public Schools. 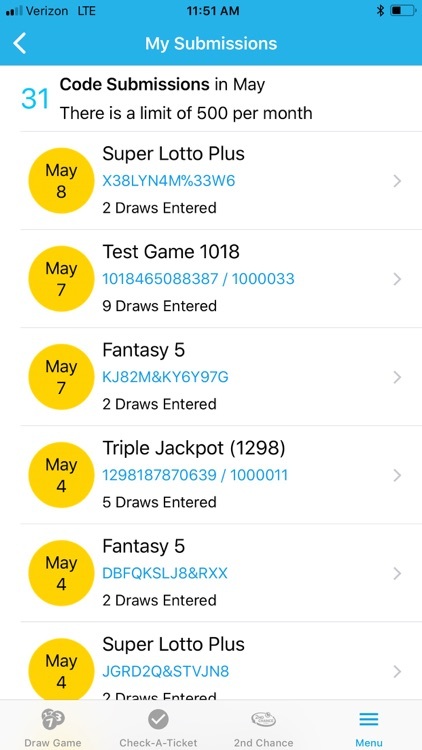 Please play responsibly. 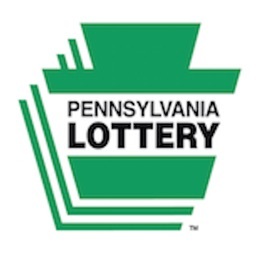 You must 18 or older to play. 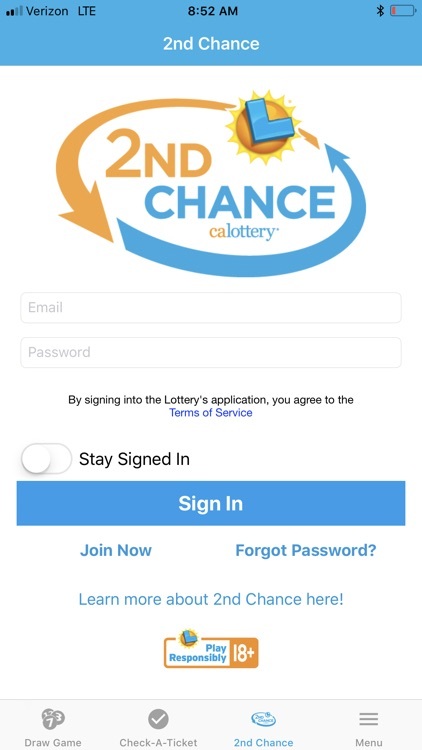 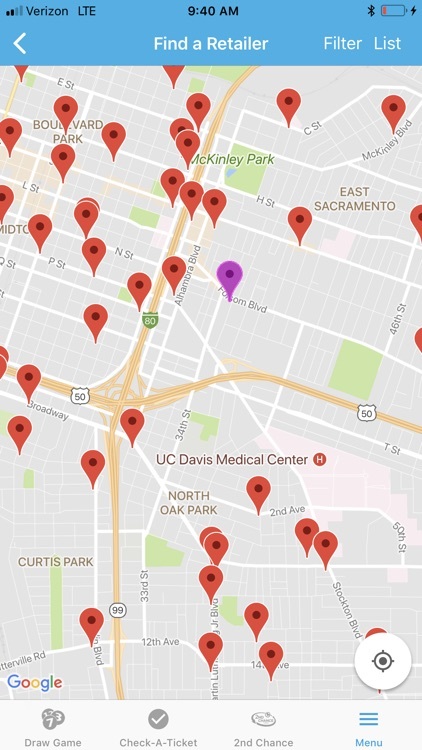 Although every effort is made to ensure the accuracy of the winning number information in the CA Lottery Mobile App, mistakes can occur. 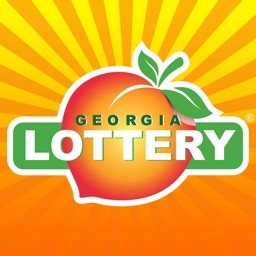 Please be sure to refresh your screen and look for the draw date when viewing winning numbers. 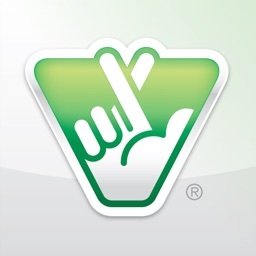 In the event of any discrepancies, California state law and California Lottery regulations prevail. 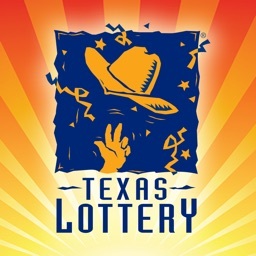 Complete game information and prize claiming instructions are available at www.calottery.com and all California Lottery Retailers.